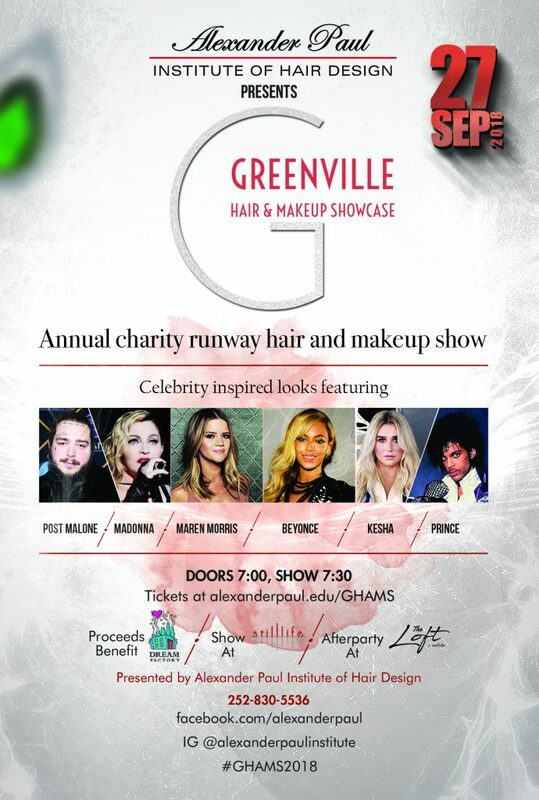 Greenville, NC—Thursday September 27, 2018, Alexander Paul Institute of Hair Design will present the first annual Greenville Hair & Makeup Showcase to benefit local Greenville charity The Dream Factory of Eastern NC. The showcase features a runway hair & makeup show with celebrity inspired looks. The Greenville Hair and Makeup Showcase, or GHAMS, allows students of Alexander Paul Institute to showcase their work and skills learned in their programs which take up to 11 months. Unlike typical runway shows, the focus is on hair & makeup fashion rather than clothing. Students will present creative interpretations of looks inspired by Prince, Madonna, Maren Morris, Beyoncé, Kesha, and Post Malone. Students from Alexander Paul Institute of Hair Design collaborated to carefully plan the interpretations. Esthetics students performing makeup and cosmetology students creating hair looks came together to create a unified vision for each of the 24 models featured in the show. “Our inspiration for our fierce hair and makeup comes from Beyoncé, who believes the most alluring thing a woman can have is confidence,” said cosmetology student Alexis Moye. 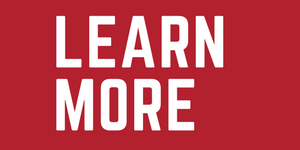 “In addition to supporting the education of the students and giving them a platform to showcase their talent, the event allows students to raise money for their community,” said Paul Naoum, Co-Founder of Alexander Paul Institute of Hair Design. He added, “We worked with a charity based in Greenville, The Dream Factory of Eastern NC. Their mission is fantastic, and they use the funds in our community. The President and Vice President of the local chapter, Allison and Jerry Fisher, are very active in the community. The Dream Factory is the largest all-volunteer children’s wish granting organization in the country. The organization grants wishes to both children with life-threatening illness and children with chronic illness and disorders. All proceeds from GHAMS will benefit The Dream Factory of Eastern NC. Funds will be raised through tickets sales at www.alexanderpaul.edu/GHAMS, monetary donations, a 50/50 raffle, and a silent auction. Donors to the event include Georges Hair Designs, Stilllife, Ironwood Golf & Country Club, Fresh Vibes, Purple Blossom Yoga Studio, Pure Barre, Uptown Brewing, Unitarian Universalist Congregation, Trollingwood, Blackened Kracken, Winslows, Sup Dogs, Blackbeard Coffee Roasters, Winslow’s, Jefferson’s, and the Down East Wood Ducks.